This versatile wooden headboard would be equally at home in a country bed and breakfast or a modern penthouse. 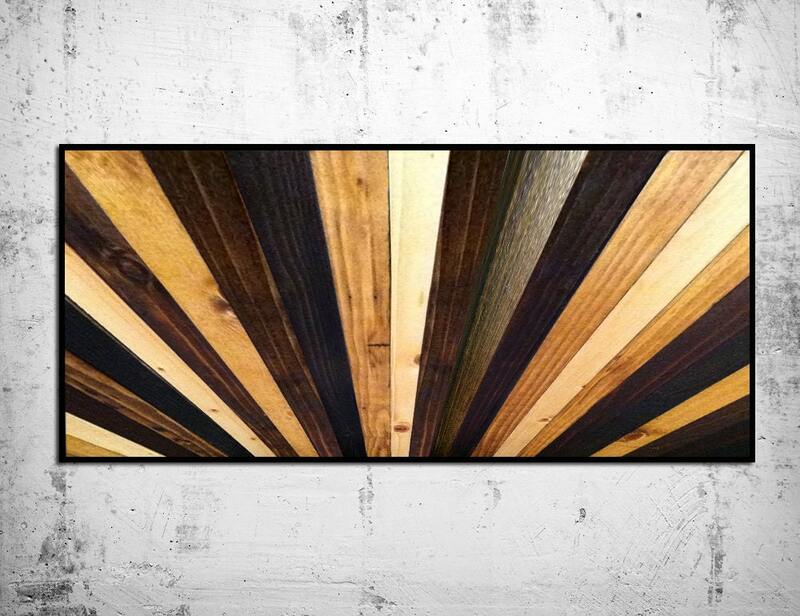 The headboard is wide enough for a King sized bed (80" x 30") and is made with a hand picked mix of repurposed, reclaimed, and new wood, then painted with transparent wood stain for a more weathered and rustic look and finished with a UV protective varnish to preserve the natural beauty of the wood. The piece is framed around the sides and is about 1.5" deep. Made to hang on the wall. Each piece has hooks on the back for hanging. Shipping to Hawaii may cost an additional amount. Please contact me if you are interested in shipping outside the US and I will calculate the cost. International customers: This item will ship UPS or Fedex. Additional brokerage fees, taxes, and other international fees may apply once the item is in your country.